Could your age, marital status, BMI (body mass index) and amount of sleep impact your risk for dementia? Researchers at Boston University School of Medicine (BUSM) analyzed data from the Framingham Heart Study (FHS) to identify new combinations of risk factors that are linked to increased risk of dementia in later life. "This study is the first step in applying machine learning approaches to identifying new combinations of factors that are linked to increased risk of dementia later in life. "By focusing on modifiable risk factors, we are hoping to identify disease risk factors that are amenable to change, enabling the possibility of preventing dementia," explained corresponding author Rhoda Au, PhD, professor of anatomy and neurobiology. Using data from FHS, the researchers examined demographic and lifestyle data collected from 1979 until 1983 and then determined who was subsequently diagnosed with dementia. As expected, greater age was strongly associated with dementia as was a marital status of 'widowed,' lower BMI and having experienced less sleep at mid-life. Dementia is the leading cause of dependence and disability in the elderly population worldwide. Currently there is no effective medication for dementia treatment. Therefore, identifying life-related risk factors including some that are modifiable may provide important strategies for reducing risk of dementia. According to the researchers what makes this approach unique is their focus on information that is readily available to any primary care physician and doesn't require specialized training or expensive testing, as well as using machine learning to help identify these factors. "We wanted to identify information that any physician or even non-physician has easy access to in determining potential increased future risk for dementia. Most dementia screening tools require specialized training or testing, but the front line for screening are primary care physicians or family members. This was also an initial attempt to apply machine learning methods to identify risk factors," said Au. The researchers believe there are potential downstream implications for this study. 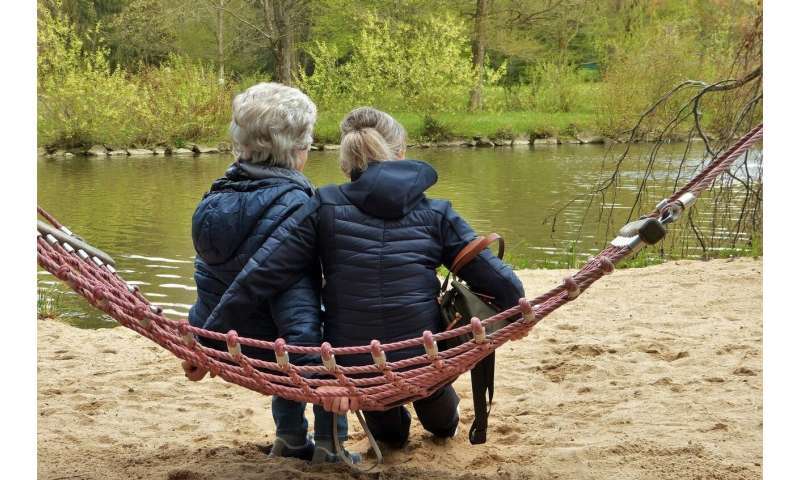 "Demographic and lifestyle factors that are non-invasive and inexpensive to implement can be assessed in midlife and used to potentially modify the risk of dementia in late adulthood."